Gouache is very comparable to both acrylic paint and watercolour paint but is its own entity. Prime Art colour sets of convenient, high-quality artist colour is value for money and available in an assorted box set. 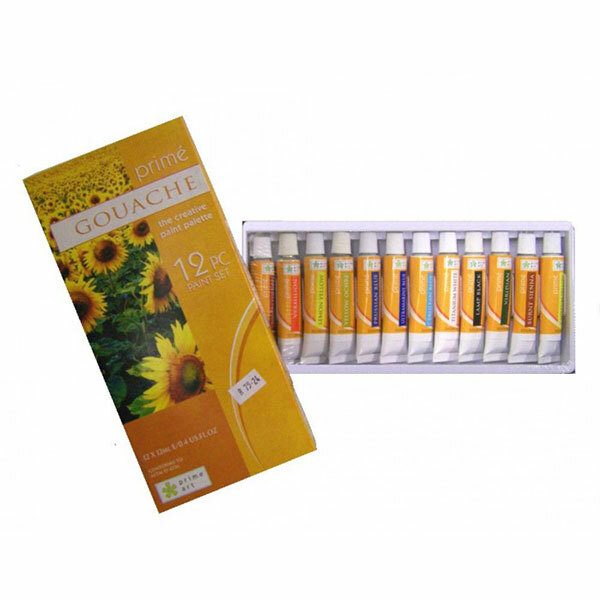 Highly pigmented impasto gouache 12 x 12ml tubes in assorted colours. Prime Art colour sets of convenient, high-quality artist colour in value for money assorted box set.